A live remix of Stravinsky’s timeless masterpiece, The Firebird Suite, on the turntables. 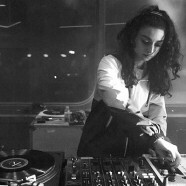 Shiva Feshareki presents a live turntable composition that she forms in the moment. Using her trademark turntabling techniques, she deconstructs Stravinsky into new forms and perspectives, using nothing other than the original composition on vinyl. Expect sonic manipulations that bend time and play with space and perspective, transforming The Firebird into new shapes that reveal its sculptural depths.